This weekend I was busy testing some recipes for Thanksgiving ideas (and blog posts!) and the best thing ever that can happen when you’re cooking occurred: I had leftover stuffing. My family has a special little trick for leftover stuffing, we use it to make a little breakfast hash. It’s barely a recipe, which is just how breakfast should be made: add a tiny pat of butter to a hot pan and throw in the stuffing and, if you have it, some chopped onions, sausage, bacon — you can’t mess it up! After the mixture cooks together for a few minutes push it the sides to make an opening in the center of the pan. Crack in egg in the center of the stuffing and let it fry up, then slide that whole thing on a plate and dig in! I garnished mine with some fresh chopped green onions, and let me tell you, it was tasty. Mingle Magazine. Four Festive Place Cards for the Holiday Table. 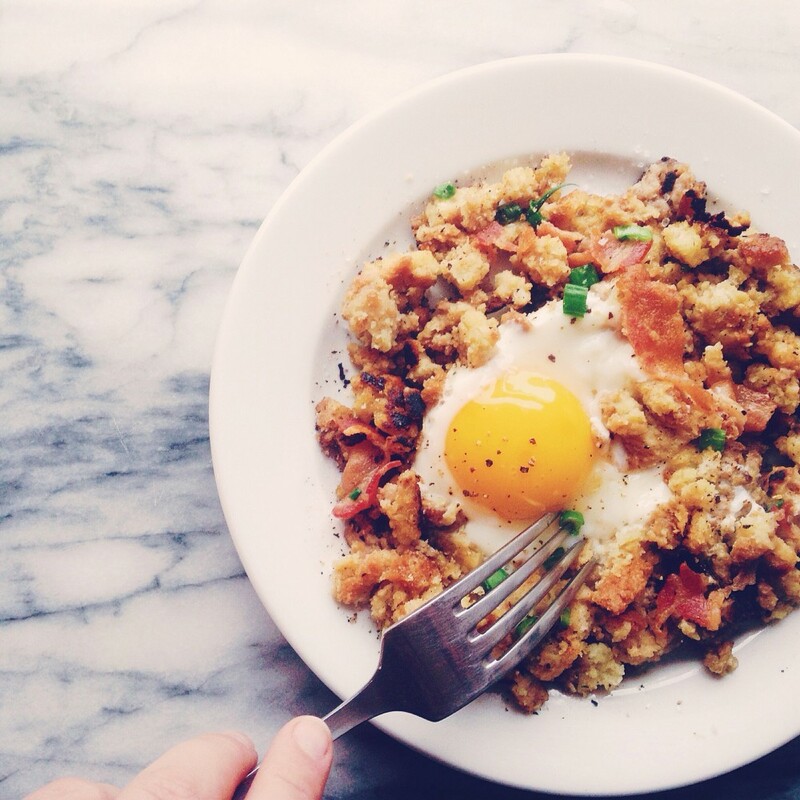 7 Responses to "A quick brunch fix." this is RIGHT up my alley- yum! Really great idea for extra Thanksgiving leftovers! I will definitely be doing this if I can get my hands on left over stuffing the next morning. Great idea!